A powerful course on the contemplative path of prayer passed down from Jesus. In 1967, Thomas Merton traveled to Thailand, seeking to further the Buddhist-Christian dialogue that was his passion. This beloved Trappist monk and explorer of the inner life died unexpectedly that trip, but not before writing a final letter to his brothers at the Abbey of Gethsemani in Kentucky. In the letter, Merton wrote that he now realized that everything he had been searching for could be found at his own hermitage, within the Christian tradition. 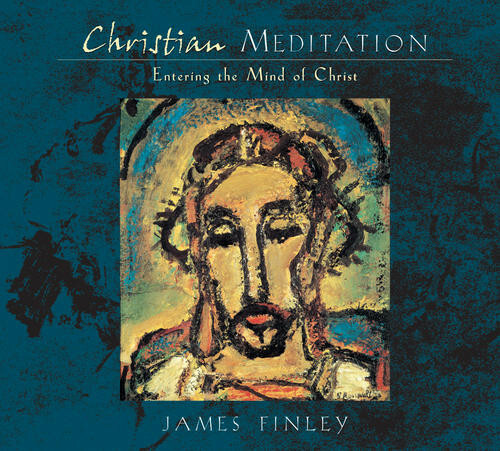 It is in this spirit, with respect for all faiths, that James Finley offers Christian Meditation, an audio retreat about the fundamental practices at the heart of Christianity's own unique meditation tradition. Since the time of the Desert Fathers in the third century, Finley begins, Christian mystics have practiced meditation as a way of opening to the direct presence of God in daily life. Legendary seekers such as Saint John of the Cross, Saint Teresa of Avila, and Meister Eckhart explored how meditation can lead us beyond the closed horizon of the ego, to an interior and holy refuge that is always available to us. On Christian Meditation, James Finley offers a gentle introduction to this all-transforming way of life, and the ever-deepening realization of oneness with Christ it leads us to. Beginning with an overview of the Christian contemplative tradition and its historical roots, and complete with step-by-step instructions about how to progress in your own practice, Finley offers a personal retreat experience for you to practice along with, at your own pace. In 12 complete sessions and more than seven hours of basic instruction with the beginner in mind, James Finley guides you along this path of awakening, in order to glimpse the infinite union that holds the secret of who we really are. This state of awakened consciousness, referred to by an anonymous Christian mystic as the cloud of unknowing, is held in common by the world's great wisdom traditions, both Eastern and Western. Meditation has the power to reveal to us the surprising nearness of God, Finley teaches. As you expand your meditation practice, in concert with your faith, you will find that these divine moments come more often, until you are finally awakened to your own deepest self, one with Christ, with James Finley's Christian Meditation. This is my expderience: Very relaxed, aware of my body, receptive of God's presence. The content of James Finley's presentation is excellent, but Soundstrue's delivery of this content, in mp3 form is disappointing. Firstly, the audio is too compressed to faithfully reproduce Finley's voice - it is simply too distorted to allow pleasurable listening. Secondly, the mp3 files do not contain any helpful meta-data, so you have no idea what each one contains when you import and browse the files in an mp3 player, such as iTunes. Also, they contain no album art.